This 100% Olive Oil Soap is traditionally called a Castile soap. It is a pure, natural soap without any chemicals or artificial ingredients whatsoever to interfere with homeopathic treatments. 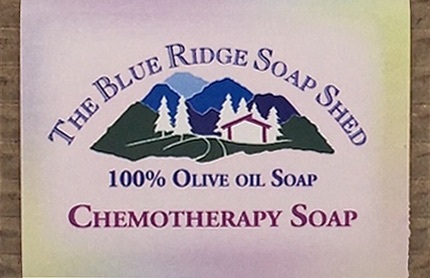 Because of its natural soap recipe many customers find that it soothes the burning irritation experienced while undergoing chemotherapy or radiation treatment. Certainly as a 100% Natural Handmade soap, it has the least potential for irritation of any soap used during this difficult time.